11th August 2018 – Matthew Hudson-Smith (GBR) won his first major individual title with a 44.78 secs clocking at the European Championships in Berlin. 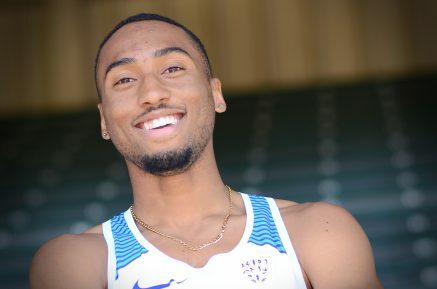 The 22 year old Lance Brauman coached athlete has been the fastest European 400m runner for the past three years and lived up to his favourite role with a dominant first 300m that saw him well clear of his rivals. After a very impressive 44.67 run in the semi-final, where he jogged the last 50m, some commentators predicted a European Record but it was not to be as he tired in the home straight but had enough to win from Belgian brothers Kevin and Jonathan Borlee. Matthew returned to the track for the 4x400m final and ran a strong 3rd leg to help GB & NI to silver medals behind Belgium, 2:59.47 to 3:00.36.